"I spy with my little eye...."
Gigapixel photographer Ronnie Miranda staged GigaLinc: An Immersive Gigapixel Photography Exhibit at the Blue Moon Theatre of the Shangri-la Hotel in Vancouver, BC on October 13th & 14th, 2011. The exhibit was held in collaboration with Samuel Cox who developed GigaLinc for his Master’s degree in Digital Imaging and Photography at the University of Lincoln, UK. GigaLinc is an exhibition that allows participants to interactively explore large-scale panoramic images. Gigapixel images (100 times the information captured by a 10 megapixel digital camera) are digitally projected onto a large screen that allows viewers to navigate and explore the image in detail using Kinect-based hand-gestures, zooming in and out of areas of particular interest. 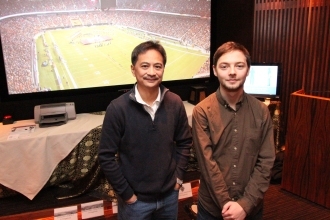 Surround-sound adds to the multi-sensory experience. GigaLinc explores the world of immersive photography and the possibilities it offers for changing the way we look at and use photographic images. It does this through digital technologies that allows the viewer to ‘step inside’ and move around large panoramic images, presented in astonishing levels of detail. As the perspective changes, the viewer feels as if he or she is actually ‘immersed’ in the scene. The technology consists of several features: the hand tracking utilizes an Xbox Kinect to input gesture based commands that runs on open source software. Arduino allows the participants to select their image just by tapping one touch-pad on the floor. The gigalinc immersive technology was a truly outstanding experience. To be taken right into the scene and be able to view the images using your own movements was an amazing experience. The interaction with the images was so futuristic I felt that I was in a movie set years into the future. The GigaLinc Immersive experience is a great way for brands to attract attention to their products or services in a live setting. As a sponsorship consultant working with many brands and properties, the possibilities for sponsors to activate their partnerships and engage live audiences at major sporting events, festivals, retail locations, and tradeshows are endless. The Gigalinc experience is unlike anything else. Captain your own roller coaster ride through massive landscapes and crowd scenes using hand gestures to zoom in and out to discovering facial expressions and other small details. It’s an incredible sensory experience, it almost feels like flying. Tanis Tsisserev, APR, T2 Communications Inc. Photography has always been a passion of mine and even though I didn’t think it was possible the Gigalinc Immersive Experience has truly changed the landscape. The amount of interactivity that will now be a part of viewing photos is incredible. 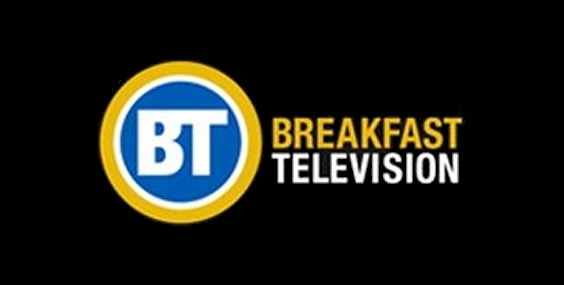 Thank you for showcasing this product at the Shangri-La Hotel, Vancouver. Can You Find Yourself in this Super High-Resolution Grey Cup Crowd Photo? 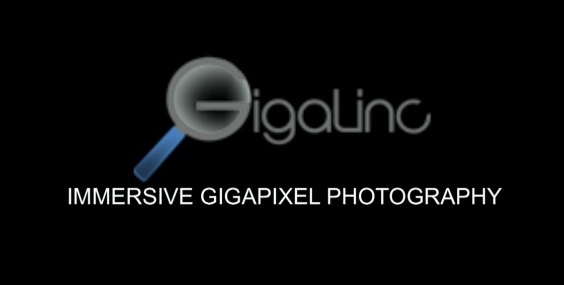 Gigapixel.com and GPXtag are properties of Active Computer Services.